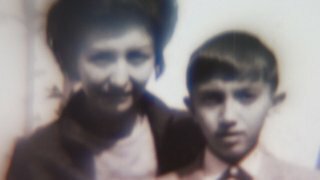 Cyrus Yoshi Tabar, a first generation Iranian-Japanese-American, has a photo of his grandparents holding him as an infant - his only encounter with them. Seeking to understand the fracture in his family, Cyrus embarks on a journey into the nebulous corners of family history. Fragmented images stain his investigation as he discovers that a family’s narrative isn’t linear and that truth is elusive. Cyrus Yoshi Tabar is an award winning Iranian-Japanese-American filmmaker based in Oakland, California. His films explore what it means to be American through the intricate complexities of family history and ambiguous identities. Growing up at a dinner table where sushi and kebab met macaroni and cheeseburgers, Cyrus now uses cinema to investigate the diverse and dynamic intricacies of first-generation kaleidoscopic American culture. It Is What It Is tells the story of Writer, Director and Editor Cyrus Yoshi Tabar's perplexing journey to learn more about his heritage through unusual audio and visual effects. PBS spoke with Cyrus to find out more about his ambiguous film. Read the Full Q&APBS:There’s something haunting about the mix of audio you use during the introduction of your film and the shaky images/footage of you with your grandparents. What were you trying to evoke from the audience? Why did you want to portray it this way? The sound design was integral to the edit. There wasn’t much of a logical progression to the process, but more of a meditative and experimental approach. I wanted to use metaphor and suggestion within the sound design, like birds flying, icebergs breaking, and fires burning. Somehow the combination of these sounds and images strike a delicate balance that I’m really happy with.